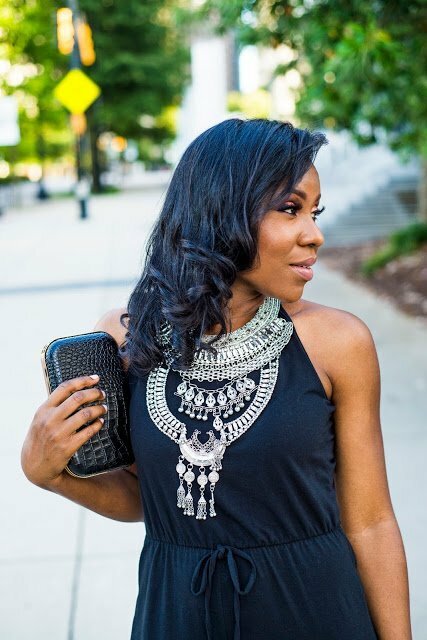 I decided on an embellished top with the skirt so I could skip wearing a necklace, an embellished top is another great wardrobe staple. 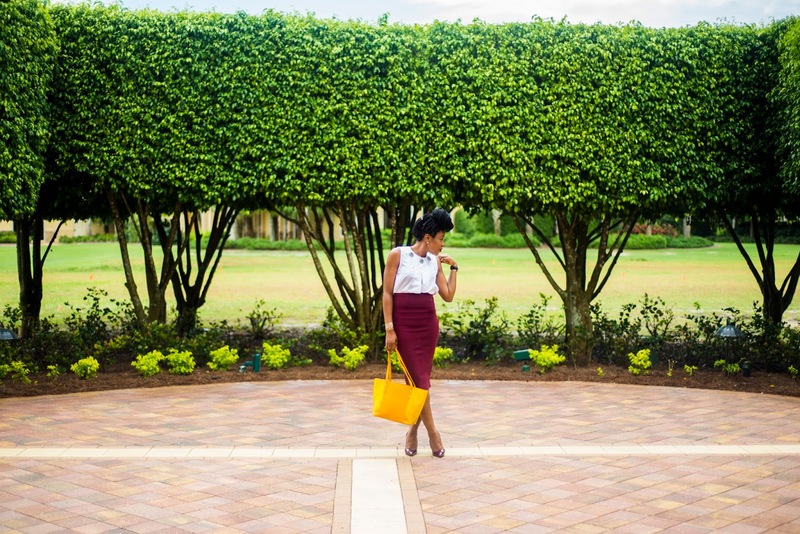 I found this sleeveless number from Zara at a steal. 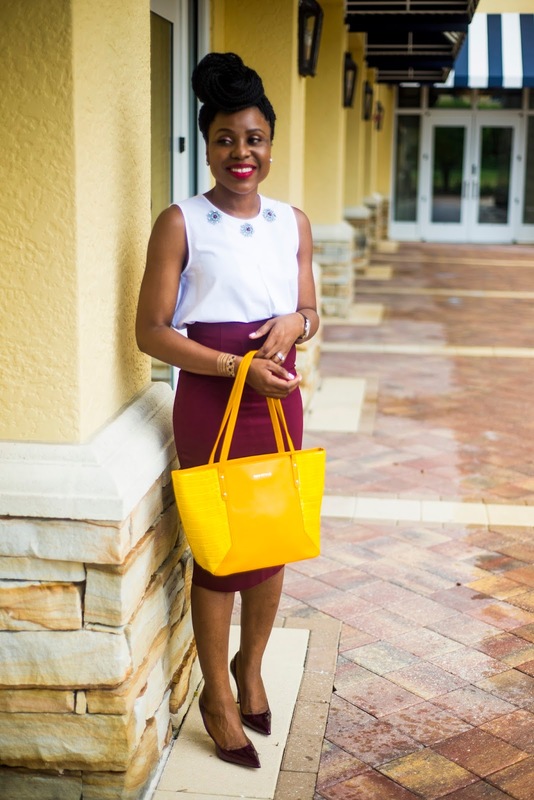 I paired my outfit with a pair of wine pumps and chose a yellow tote, for a pop of color. 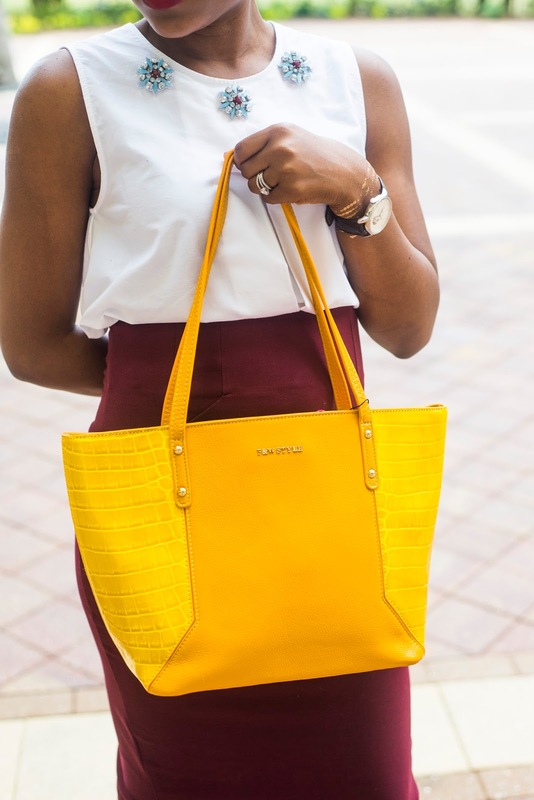 This versatile croc tote which is perfect for work or as a weekend bag, is by F&W Style. 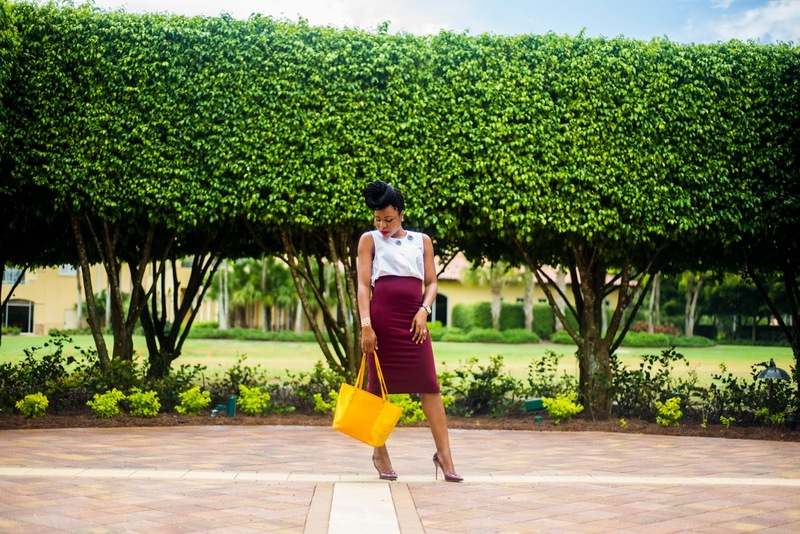 Check them out for gorgeous luxury leather handbags. 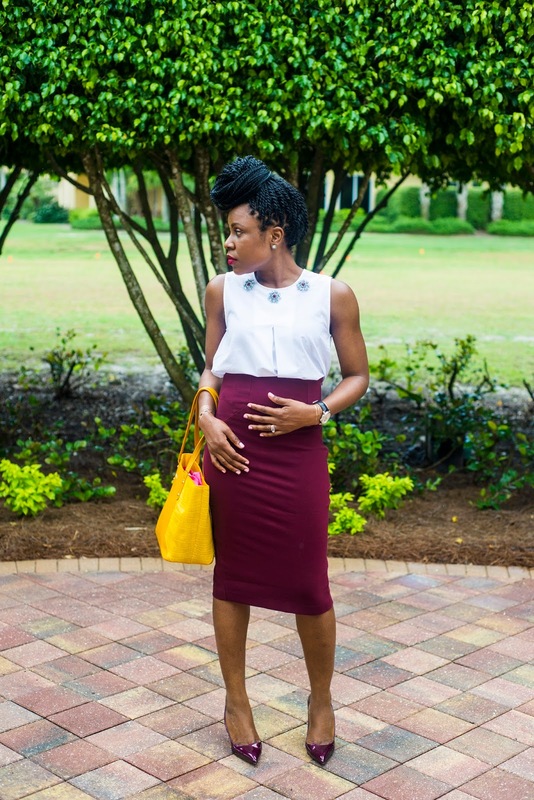 Throw on a blazer or sweater over the outfit and you are set for work. What do you think of my look? Cute look, I love that purse. And yes, high-waist skirts are def good for covering up my multitude of sins ( not so flat tummy). I like the contrast of the bag and the skirt. You make everything look so beautiful. Lovely as always.